WHEN: Saturday, June 9, 5-9 p.m. The Truckee Optimist Club will say hello to summer by holding its 13th annual Brew Fest on the lawn and under the sun at Truckee Regional Park 1-5 p.m. Saturday, June 9. The Brew Fest will feature tasting of specialty brews, craft beers, and select ciders from Northern California and Nevada breweries, a news release states. Early confirmed attendees include FiftyFifty Brewing Company, Alibi Ale Works, Sierra Nevada, ol’ Republic Brewing, Altamont Beer Works, Out of Bounds Brewing Co., Drakes Brewing, Firestone Walker, High Water Brewing, Revision Brewing, River City Brewing, Santa Clara Valley Brewing, Tahoe Mountain Brewing, Common Cider, Oak Park Brewery and others will surely follow. 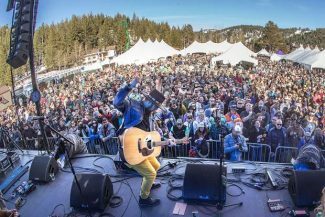 “Over 50 invitations have been sent out to breweries within a 200 mile radius of Truckee inviting them to attend this extremely popular event,” according to Ron Wulff, event co-chair. The Blues Monsters will perform high-energy Blues and Rock. 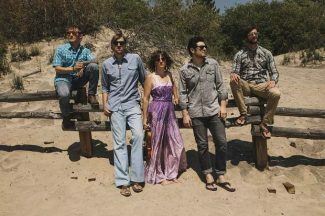 Last summer, The Blues Monsters earned the distinction of being the most popular performing band at the Truckee Wednesday night concert series. There will be tasting, dancing, brats and other BBQ items, a silent auction and event T-shirts for sale. Entry fee includes a collector tasting glass and all inclusive tastings until 5 p.m.
Advanced tickets are $35, or can be purchased for $40 at the event gate. 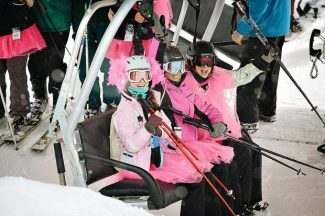 Tickets go on sale in early May and the local outlets include FiftyFifty Brewing, Alibi Ale Works, Dickson Realty, Auto Glass Express Truckee, Mellow Fellow Truckee, Zanders, Tuff Beanz and Optimist Club members.